Pakistani Christian Aasiya Noreen (known as Asia Bibi) has been allowed to take her appeal against her death penalty for blasphemy to Pakistan’s Supreme Court in the capital, Islamabad. Until the Supreme Court reaches its final decision, Noreen cannot be executed. 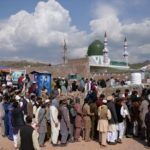 Commentators today have praised the Supreme Court for its courage to hear the appeal in the face of strong public sentiment against anyone seen to denigrate Islam, with some calling it a “historic day for Pakistan”. Her lawyer, Saiful Malook, appeared in front of three Supreme Court judges at the first hearing today (22 July) in Lahore. After her appeal in Lahore’s High Court was unsuccessful in October 2014, this is now the last chance for them to appeal that her conviction should never have been allowed, due to inadmissible evidence. While her previous appeal at the High Court in Lahore was rejected, the judges who turned it down conceded that they had based their ruling on a technicality, which they recommended be eliminated in future to make it more difficult to achieve blasphemy convictions. The appeal judges explained they had no choice but to reject it, given the way Pakistan’s laws are written, and have turned to lawmakers to craft legislation that would empower trial courts to apply a test that would make future blasphemy convictions much more difficult to achieve. That test was not in place when Noreen, popularly known as Asia Bibi, was tried. No more has yet been heard about what progress, if any, the lawmakers have made on this point. Noreen’s case has attracted worldwide attention and led to much criticism of Pakistan’s controversial blasphemy laws. Noreen, 50, was the first woman to be sentenced to death under Pakistan’s blasphemy laws when she received the death penalty on 7 November 2010, after allegedly making derogatory comments about the Prophet Mohammad during an argument with a Muslim woman. She was found guilty of blasphemy under Article 295C of Pakistan’s penal code, which imposes death sentences for offences of defamation against Mohammad. The Muslim woman had refused water from Noreen, a colleague, on the grounds that it was “unclean” because it had been handled by a Christian. The Muslim woman and her sister were the only two witnesses in the case, but the defence failed to convince judges that their evidence lacked credibility. Noreen was first arrested in the summer of 2009 and has since been confined to prison, mostly in the high-security District Jail Sheikhupura, 22 miles north-west of Lahore, and now in the women’s jail in Multan. In the High Court appeal hearing in October 2014, Noreen’s lawyer, Naeem Shakir, had argued that the main complainant in the case, the local Muslim cleric Mohamed Salaam, had not heard Noreen blaspheme, and that his original complaint, known as a first information report (FIR), had been lodged only five days after the women’s quarrel. 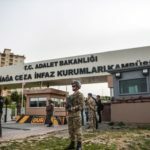 Shakir argued in his appeal that during the trial the only reason given for this delay was “deliberation and consultation”, and said that Salaam had acknowledged this in court. Salaam was filmed by an international film crew who made a film about Noreen in May/June 2014, saying that it is his religious obligation to defend the dignity of the Prophet and that is why he decided to be a witness before the court. He only heard Noreen allegedly confess to blasphemy when she had been brought before a village council several days after the quarrel. Her other main accuser, the owner of the field in which she worked, Mohamed Imran, had not been present at the time of the quarrel either; he was away from the village at the time. In April, Noreen’s family met Pope Francis at the Vatican, where he prayed for her and for all suffering Christians. Shortly before her family travelled to Rome, it was announced that she was suffering from intestinal bleeding and needed urgent medical care. Her family announced that Noreen was “so weak she can hardly walk” after their latest monthly visit. In March, she was made an honorary citizen of Paris in a show of support by the city’s mayor, Anne Hidalgo. The mayor’s statement said receiving the award is a “rare distinction granted to the world’s most emblematic defenders of human rights. We must support Asia Bibi, because women in all regions of the world are the first victims of an order which theocrats, who twist the messages of all religions, try to impose”. Campaigners across the world have helped raise the mother of five’s profile, following successful petitioning for the release of Mariam Ibrahim, a Sudanese Christian woman who was also sentenced to death for blasphemy last summer. To date, more than 580,000 people have added their signatures to a campaign by change.org. The woman who started the campaign, Emily Clarke, said “people have not forgotten Asia Bibi even though she was sentenced to death over five years ago”. Another petition, by CitizenGO, has gathered over 625,000 signatures. In 2011, Salmaan Taseer, the governor of the Punjab, and Shahbaz Bhatti, national minorities’ minister, were shot dead because of their support for Noreen and criticism of what Clarke calls “Pakistan’s barbaric blasphemy laws”. The crime of blasphemy was enshrined into Pakistani law under British rule, but strengthened during the years of military dictator Muhammad Zia-ul-Haq. However, in recent years Pakistan, which is 96 per cent Muslim, has seen a surge in accusations of insulting Islam, says Islamabad-based think-tank, the Center for Research and Security Studies. If found guilty, defendants can expect the death penalty, but those accused are often lynched or languish for years in jail without trial because lawyers are too afraid to defend them. “Blasphemy accusations in Pakistan are often used to settle petty vendettas and persecute minority groups,” said Kate Allen, UK Director of Amnesty International in December 2014, as part of a plea for the release of Mohammad Asghar, a 70-year-old British Muslim grandfather also on death row. “Pakistan should get rid of these poisonous blasphemy laws. It’s a complete disgrace that the courts are complicit in these vendettas”. In June, however, the president of the British Pakistani Christian Association, Wilson Chowdhry, said any changes to the blasphemy law would, in reality, have little effect because of “local police authorities cowing under pressure from mobs led by local imams”. 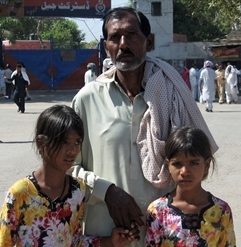 Fifteen Pakistani Christians are currently believed to be facing the death penalty for blasphemy, including Sawan Masih, whose alleged blasphemy during a conversation with a Muslim friend in March 2013 resulted in the looting and torching of hundreds of homes within the predominantly Christian Joseph Colony in which he lived.